October 2017: Golden Apple Education Awards- WINNERS! The academy was shortlisted for three and won all three Golden Apple Education Awards. July 2017: Academy awarded Teaching School and National Support School Status! Academy has been awarded Teaching School and National Support School Status. Read more here. March 2017: Outstanding OFSTED report! 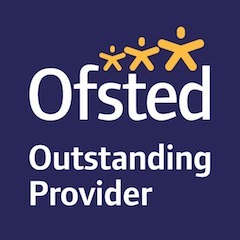 The academy received an outstanding Ofsted report. Read more here. The academy was shortlisted for three Golden Apple Education Awards. The West Lakes Academy English team won the gold Pearson Teaching Award for ‘Outstanding School Team of the Year’. Read the full story here. Watch Team English collect their award and find out why they won here. West Lakes Academy successfully reached the final three schools across Cumbria for the ‘Secondary School of the Year’ award at CN Groups’ Golden Apple Education Awards. The academy was nominated by Head Girl and Head Boy. West Lakes Academy’s canteen provided by Mellors Catering is the first school in Copeland to be awarded the ‘Healthier Menus for School Award’ by Copeland Borough Council. Full story here. West Lakes Academy has been recognised as a ‘Champion School’, under the Accelerated Reader scheme. The Champion School Award is to recognise the work and success of the students on the scheme, which aims to increase reading comprehension, and to boost literacy for all pupils in years 7-9. West Lakes Academy has been recognised as an outstanding centre for ASDAN qualifications. ASDAN is a curriculum development organisation and awarding body offering programmes and qualifications that develop skills for learning, employment and skills for life. Full story here.